Have you ever looked at a familiar verse in an unfamiliar Bible translation? Most of us have a preferred version, but reading it in a different translation often sheds new light on its meaning. It may reveal nuances, clarify details, or otherwise point us towards a deeper understanding. As Christians, we view the Bible as the ultimate authority on life—but sometimes, a fresh way of wording it is like having a new translation, providing additional revelation. 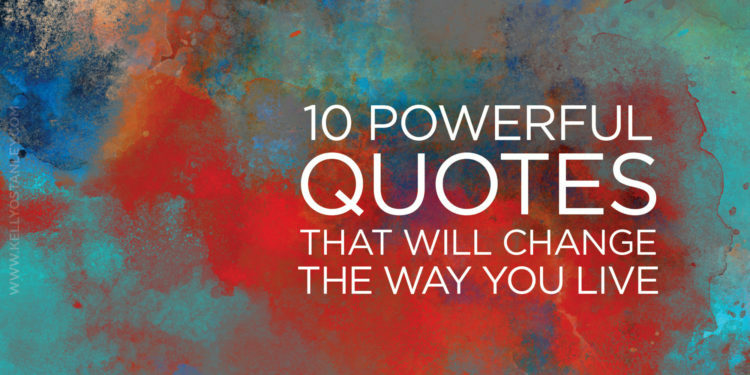 As you ponder these 10 powerful quotes (and related Bible references), let them change the way you live your faith. Faith is not the absence of doubt, but a gift from God (Ephesians 2:8-9). God is big enough, powerful enough, and certain enough to withstand our questions and lead us to the answers. His gift of faith takes the pressure off us. Our role is to simply accept it, use it as a tool to navigate life—and know Who to turn to for answers when we inevitably have questions. A friend once asked me, “So when I yelled at God and said I was mad at Him, was that prayer?” Without hesitating, I answered, “Absolutely.” Think about it: if prayer is simply communication with God, then isn’t any kind of expression of feelings—whether loving or angry, gentle or harsh—a form of prayer? Authenticity touches the heart of God and reveals just how merciful and generous He is. Honestly, whether we admit anger or not, He already knows what we feel (1 Samuel 16:7). So talk to Him openly and freely. You hear words like faith and love and peace mentioned in relation to God all the time. A word we use less—but which is no less important—is generosity. God gives abundantly, beyond what is required, and Jesus taught us to do the same. You can’t out-give God, and you can’t lose. 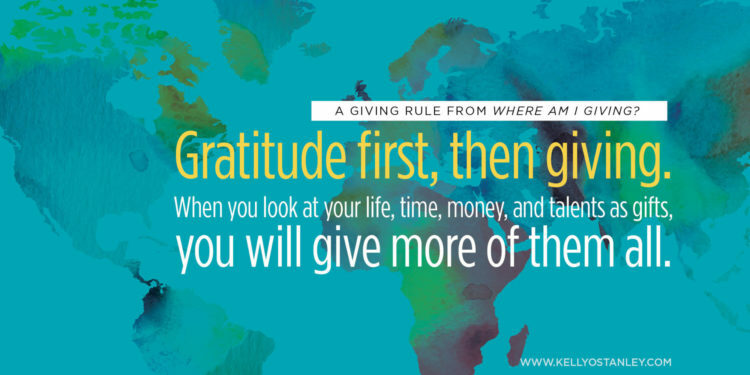 Give cheerfully and not grudgingly, out of the overflow of gratitude in your heart for all that God has done for you. The gifts He gives us in return far surpass anything we had to offer in the first place (2 Corinthians 9:6-8, Luke 6:38), and, along the way, you’ll find that you have more than enough. Dear Lord, speak to me. Live in me and instruct me. Guide me and help me to honor You, so that when the world sees me, they ultimately notice You. Amen. 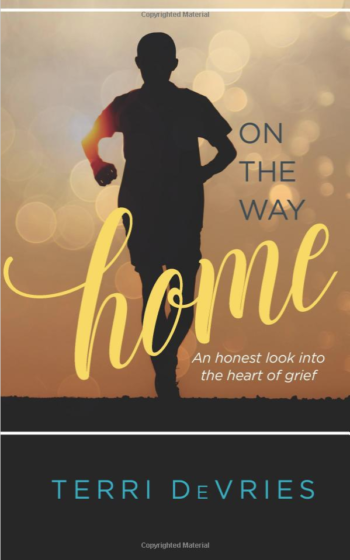 Happy to welcome Kelly Balarie back to my blog with a guest post about her new book, which releases TODAY! Leave a comment below to be entered into a drawing for one of two copies! Just list your go-to Bible verse that encourages you when you’re struggling. I’ll draw the winners on July 14. Ever felt that panicked feeling? It’s that oh-no sense you get when you ram your car against the one behind you. Or when you smash a heavy door right on your baby’s 10-month-old toe (yes, this did happen to me). Or when you speak what should have remained the unspeakable. Or when your deepest fear is about to come true. Panic steals peace. You cannot have both. Which is why, about a year-and-a-half ago, I decided I needed to learn how to be Battle Ready. I was tired of the same old trials and tribulations tumbling me to the floor with stress, worry, and panic. Something had to change. Are you in this place? Do horrible things keep on happening to you? Do those same feelings of angst, trepidation and fear keep coming? 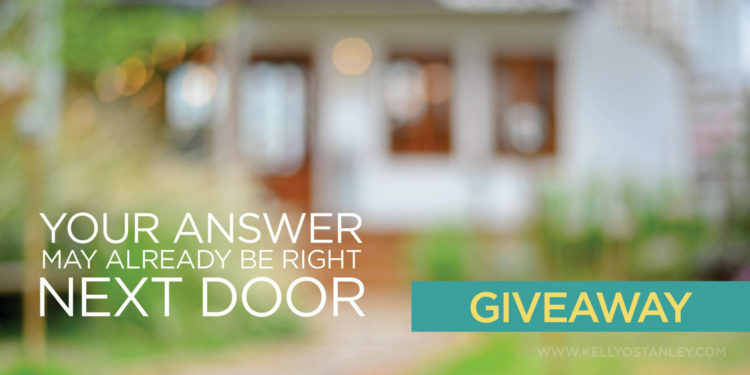 Do you easily lose faith in God’s ability to come through for you? Scenario 1: You trip over the shoes that you left in the hallway last night. Your chin hits the floor with a loud thud! You mean to move them earlier, but you forgot. I’m so stupid, I am so forgetful,or I am always doing dumb things? Or, It’s okay. Everyone forgets things sometimes. Scenario 2: You blurt out, “When is the baby due?”, or some other statement that you immediately wish you could take back. You know you shouldn’t have spoken like you did, but it is too late. The words are out. I am such an idiot, I am rude, I am always making a fool of myself or I am horrible. Or, I am learning how to use wisdom with my words. God will be faithful to teach me. I over-talked. I take up too much space. I come across too (smart, much, arrogant). People think I’m annoying. I can be who God created me to be. I don’t have to fear what people think of me. God made me just right. How we think in specific scenarios says a whole lot about how we think in life. Begin to observe your thought-life patterns. Thoughts are usually clear-cut: you’re either hard on yourself or full of grace, full of God’s truth or dwelling on lies, standing in faith or faltering in doubt. You either think: God is for me or God is against me; God is with me or God is abandoning me; God will never…or God will certainly…. But know this: how you think can change. People who are walking full of God have to work on it. It doesn’t come naturally. They renew their mind in Christ Jesus, they filter their thoughts, they consider the strategies that work so that they walk with God continually. 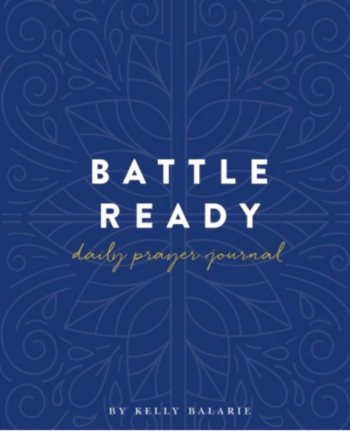 These are the attributes of a person who is Battle Ready. There are, in fact, specific strategies to stand strong and firm with Christ. Did you know them? Do you know how to respond proactively, rather than reactively? How to change bad habits? How to renew your mind in Christ? Think about what you are thinking about. Check to see if aligns with God’s truth. Replace the lies with truth. Take action based on that new thought. …but a life full of faith, full of peace and joy, transcends this. This is a good start, but not the finish line. The finish line is a life that stands on God’s Word as if it is the ground it walks on. It is a hope so secure it feels it is as though it is already won. It is belief so strong, that no man can shake it. It is a life so on purpose, it does with no regrets. You can get there. You can be full of faith, strong in battle, sure when challenges hit and unwavering when enemy forces come up against you. You can be Battle Ready. There are scriptural tips, biblical stories, practical wisdom and scientific studies that will help you seize new habits, forge new thought patterns and change your life. Why not proactively prepare your thoughts today to seize great faith? 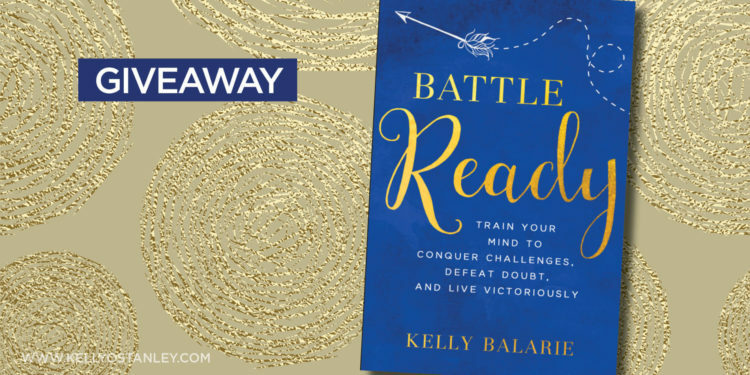 Kelly Balarie, an author and national speaker, is on a mission to encourage others not to give up. Through times of extreme testing, Kelly believes there is hope for every woman, every battle and in every circumstance. 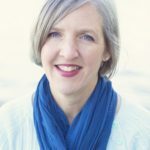 She shares this hope on her blog, Purposeful Faith, and on many writing publications such as Relevant, Crosswalk, and Today’s Christian Woman. 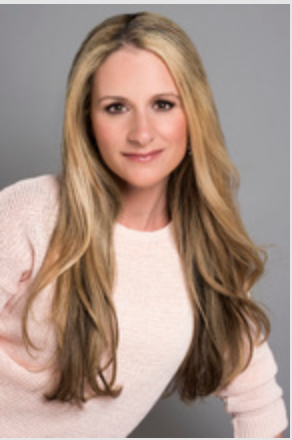 Kelly’s work has been featured on The Today Show, 700 Club Interactive, Moody Radio and other television and radio broadcasts. When Kelly is not writing, she is chilling at the beach with her husband, a latte, and 2 toddlers who rightfully demand she build them awesome castles. 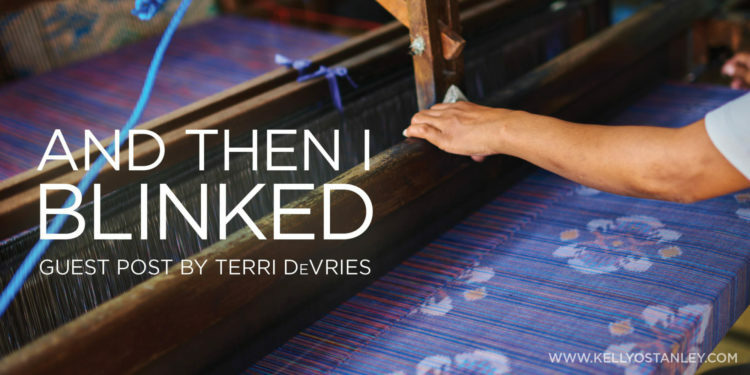 My dear friend Terri DeVries agreed to let me use one of her posts on my blog. It’s been ten months since I lost my dad, and I’m still deep in the valley of grief. Terri lost her husband five years ago, which is a completely different thing—and yet I draw such solace from her wise observations and the truths she’s learned. I hope you do, too. It was a phone call. And a whole string of what-ifs. Followed by a thousand why, why, why, whys. It was a thundering of blood pumping in my ears, my heart beating so fast I thought I might pass out. It was my body shaking so hard I couldn’t imagine driving myself anywhere. And it was the end of normal as I knew it. March 17, 2013. St. Patrick’s Day. Beautiful, sunny, deceptively peaceful and perfect. You can’t imagine such a thing happening to you on a day like this. But it did. Life as I had lived it for almost forty-seven years came to a halt. It was entirely the fault of the widow-maker, that type of heart attack that kills quickly and surely. My husband was healthy, in great shape, training for his third marathon, eating well and doing everything right. Then I blinked, and he was gone. Reality is like a sharp knife. It cuts your past from your future with an accuracy that stuns. Like magic, what was is gone and what is to be is hidden behind a curtain of grief, the sorrow weighing you down so that you find it impossible to stand. And then in that weak moment come the henchmen; anger, denial, depression. Wow. So where was my faith in all of this, you ask? Great question. And I’m not sure I have a clear-cut answer. Looking back over these five years since I became a widow (a word I hate with all my heart), I’ve searched for the threads that lead back to that day. Five years ago I was indescribably angry. I spent day after day ranting at the God who took away my husband. Betrayed, let down, disappointed, heartbroken, so alone, discouraged, weary, and feeling deserted, I was certain God had left me. I couldn’t find Him or feel Him anywhere. What kind of God leaves you like that? Consequently, I lost the faith I’d had in Him my whole life, or so I thought. But here’s the thing. Anger is black, opaque, un-see-through-able. And necessary. God stood beside me, watching, loving, and protecting all the while I was ranting at Him. As the anger diminished, His presence gradually became obvious. He’d never left my side as I thought He had. In fact, He had spent much of that time carrying me as He allowed the anger. And although my faith took a real beating in those weeks, it was always there. The result of my loss was to learn that no matter what happens in your life, no matter how bad it gets, if you believe in the same God I do, He will stay with you always. ALWAYS. Especially in the hard times. Even when you can’t understand the why of it all. The best way to explain it is to refer to an old story describing our lives as a tapestry we see only from the back side. There is a dark and ugly mass of strings in varied colors, some cut and woven back in and others continuing on. It’s messy, with knots and jumbled threads. None of it makes sense. It isn’t until we see the finished workmanship on the right side of the tapestry that we realize what a magnificent masterpiece it is. This is what I take from that; I’m still seeing the underside of the tapestry, and for the past five years I’ve been trying to follow the threads that run consistently through the it. The thread of faith can be hard to find because it’s hidden for a time under other threads, but it always reappears at some point. It always reappears. Imagine someday seeing the right side and saying, Oh, look what the Master Weaver did with my life! I am not the person I was five years ago. I’m older, yes. But that’s not the point. I have learned so much about trust in God, a God who loves me more than I can fathom; I have learned about my own faith, a faith which has grown and blossomed and become the center of my life. I have learned about dependence, a complete surrender to the God who planned out every second of my life before I was even born, and who knows exactly what will happen every second of the life I have left. I have learned how strong I am. I have learned how hardships and difficult circumstances molded me. I have learned how much I still have to learn. That thread of faith that seemed to disappear right after my husband’s death? It was there all along, and now I’m learning to embrace it, holding it close and letting go of all the doubts and fears, and yes, the anger, that I used to allow free reign. Because I don’t have the ability to see what’s ahead for me. But I know Who does. If you’d like to read more about her journey, or know someone else who’s on this road with her, check out her book. It’s wonderful (and so is she). Have you ever had one of those moments? Where you’re going about your ordinary business, trying to make sense of things, when all of a sudden it feels as though your heart is on fire? When the hope wells up and overflows? When emotions are high and everything feels possible? When you know—just know—that God is near? This verse from Luke kept running through my mind as I read Suzanne Eller’s new book, The Spirit-Led Heart. I have always connected closely with the idea of the Holy Spirit. Maybe it’s because I go to a Pentecostal-ish church and we operate by the Spirit, seeking after Him, not making excessive plans for the service but instead trying to connect and follow the Spirit. Maybe it goes back to the early, exciting days of my faith, when God opened my eyes to see Him in new ways, and I devoured books like Catherine Marshall’s The Helper. Whatever the reason, the minute I heard the name of Suzie Eller’s new book, I knew that it would be one that would be important to me. When I had the chance to be an early reader, I jumped at it, and even so, it exceeded my expectations. 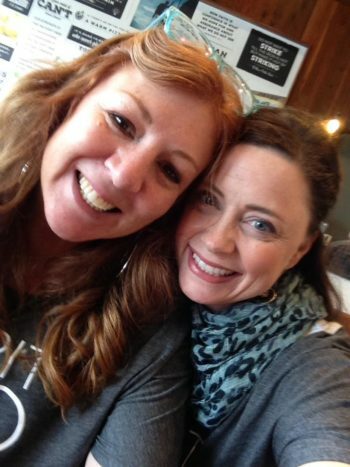 It’s one thing for someone to inspire you, and Suzie is one person I watch and learn from. She’s the real deal, and I’ve learned to trust her guidance because I’ve seen how she truly lives her faith and always points people back to Him. She tries to never get in the way but to do her part and then get out of the way and let the Holy Spirit do the rest. But it goes deeper than that. This book woke up my spirit again. It reminded me why I love my God like I do. It reminded me of how the Spirit enlightens and informs and encourages and empowers. And it made me realize how much I was shortchanging myself by not embracing the Spirit in every step that I take. It showed me that I may be walking that road to Emmaus, just as the disciples in the book of Luke, and I may be talking about God, but so often I find myself oblivious to Jesus’ presence and forget that He is RIGHT HERE. RIGHT NOW. Here’s the promise: that God is near. And WITH GOD, all things are possible. The gift of the Spirit isn’t something for a select few—it’s a treasure that we can open again and again, every single day. It will shape every moment and change the way we live. 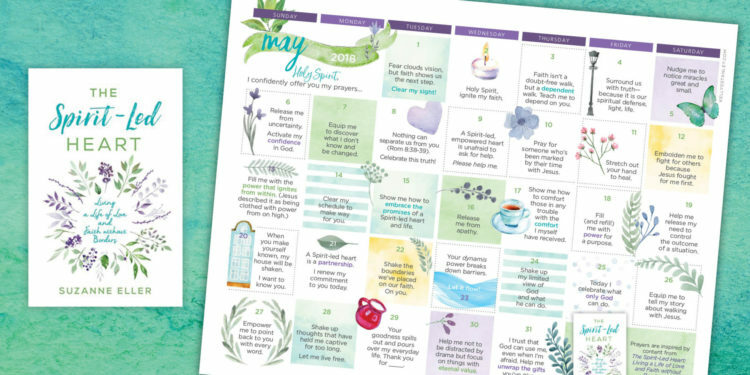 When I finished reading, I asked Suzie if she would consider allowing me to design my May prayer prompt calendar around themes from The Spirit-Led Heart. Graciously, she said yes. So this month, as always, I’m sending you a prayer prompt calendar to help jump-start your prayers for the month. But this time it feels different to me. The gift Suzie gave to me when I read her inspired words is impossible to measure or quantify, but it was huge. By offering this calendar to you, I hope that I am offering you so much more than another colorful piece of paper. And when I recommend this book to you, I hope you believe me when I say this is not a lukewarm recommendation. I’m not supporting the book’s message out of obligation or charity. I’m involved with it because it changed things for me, and it has the potential to do the same for you. 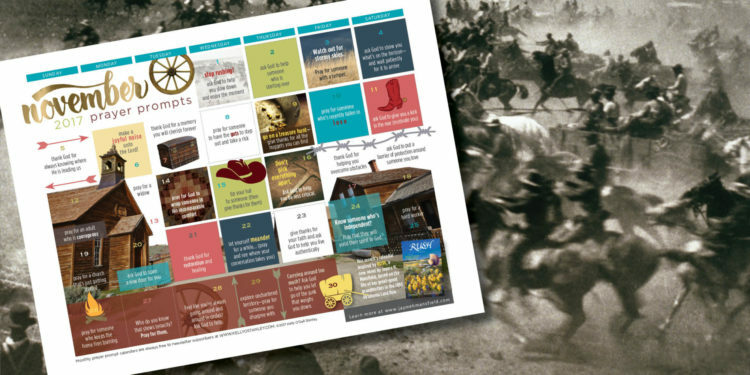 So right after you download the calendar for May, I hope you’ll click over to Amazon (or your favorite bookseller) and order a copy or two. Ask God to show you who you should share them with. Give yourself this gift and let the book open up discussions about the Holy Spirit with your friends and family. 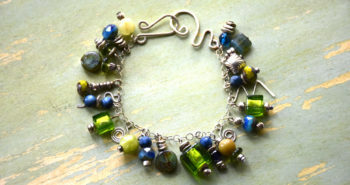 and then read on to enter a GIVEAWAY and get some awesome freebies! 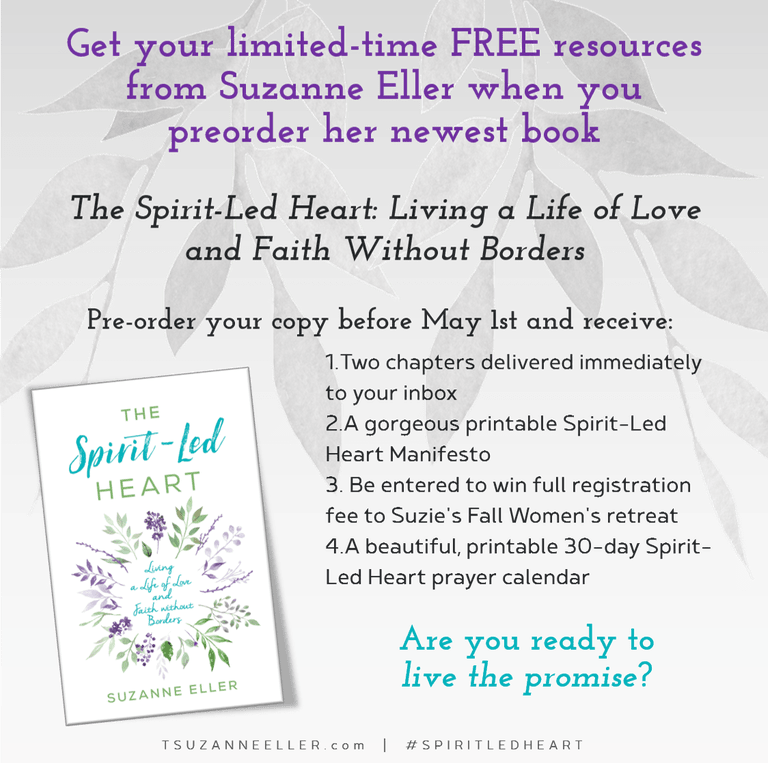 If you order the book before May 1 (the release date), Suzie is offering some awesome pre-order bonuses on her website. The details of how to get your downloads are on her website, too. Also, I’m giving away two copies of this book! 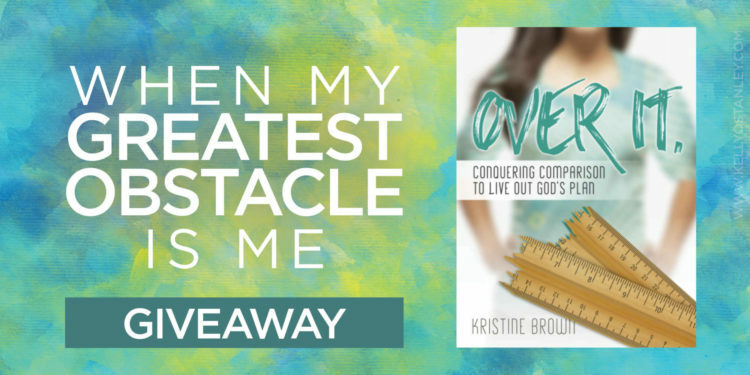 To enter to win, simply tag a friend on Facebook below my post about this and say why you want her to read the book or download the calendar. 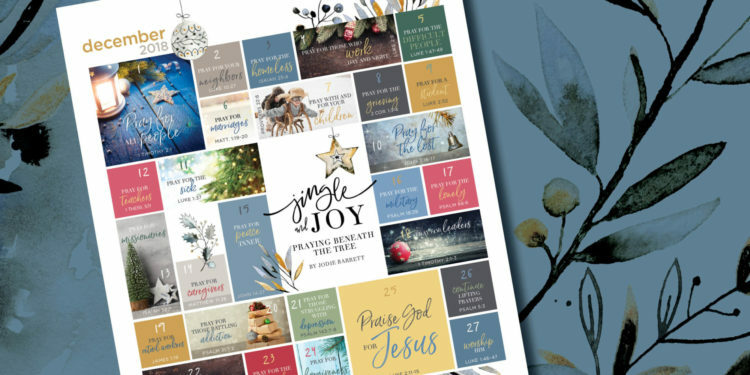 If you’re not on Facebook, print an extra copy of the calendar to share with a friend and comment below this blog post telling me you did so. If your name is drawn, I will mail you twocopies of the book (one for you and one for your friend), along with print-outs of this month’s prayer calendar. 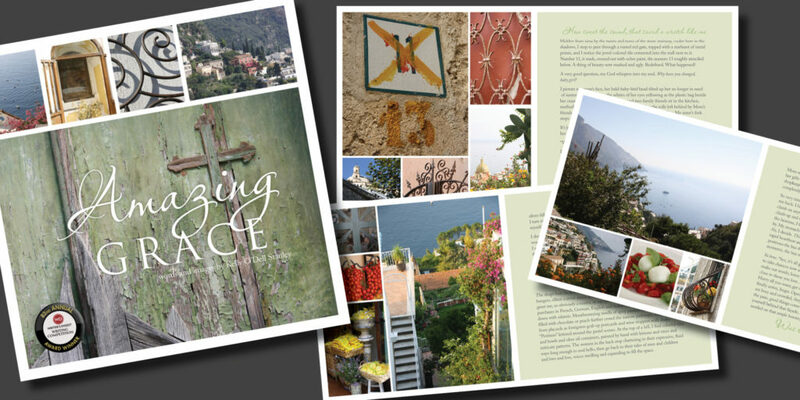 Deadline to enter is May 5 (date randomly chosen because 5 is the number of grace), so be sure to comment now so you don’t miss your chance to enter. Lord, I pray for every person reading this prayer, that they may come to know the fullness of the power of Your Spirit. That they might embrace it and see You. I ask You to banish their fears and let them be confident in Your love. I implore You to empower them with supernatural power—inspire them, heal them, lead them, inform them. Love them as only You can love. Amen. If you read my post last week, you know that I decided to give away something each week during December. Last week it was a book called Over It! by Kristine Brown. 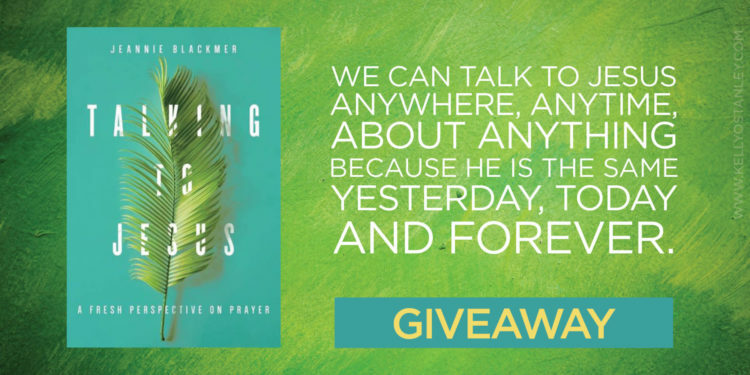 Read to the end of this post for info about a giveaway of a copy of this new book, Talking to Jesus: A Fresh Perspective on Prayer, by Jeannie Blackmer. Except that wasn’t how it went at all. I had nothing. NOTHING. I don’t feel like I’m in a “crisis of faith,” and I’m not mad at God, and I do believe prayer is important. But I sat there and my mind was a complete blank. That day, my 17-year-old son was home with another headache. Three days in a row of missed school. I got the emailed updates of his grades, and he’s falling behind. When I try to remind him to do something, or—heaven forbid—inquire in the slightest way into his life, he snaps, “I’ve got it, Mom.” The truth is, I know he doesn’t have it together as much as he thinks he does. I do think he is capable, and I believe he has the best of intentions, and he is a really awesome kid. But I also know he gets stressed when he gets behind, and the stress triggers more migraines, and he misses more school, and gets farther behind, and so on. We went through this last semester (not a good experience) and his older sister has been battling migraines since she was 15, so even though my worries are for him (and her), they come with a bunch of residual stress for me. I’m the one who has to call in to school, get homework, negotiate doctors appointments and prescription refills and have my son take out his frustration on me. On top of that, he had a bad wreck a couple weeks ago. Thank God he was OK—just some burns from the air bags—but he totaled the car. We had to find time to drive an hour to sign over the title and then find a replacement vehicle. 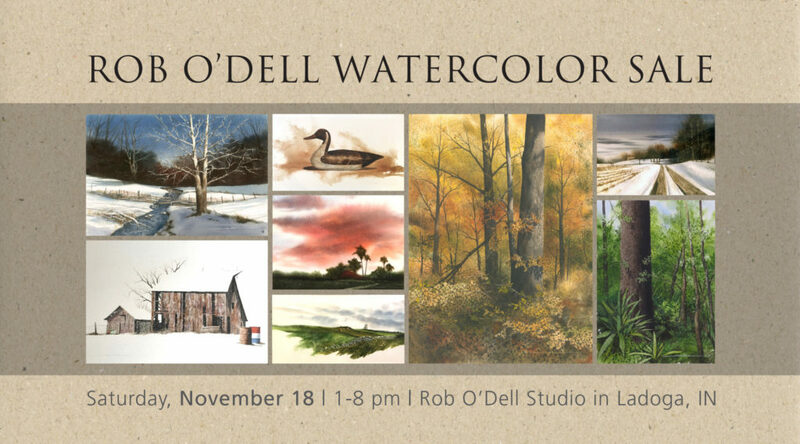 The past few weeks have been busy and stressful, with a sale of the paintings my dad, a professional artist, left behind when he passed away this summer. Work deadlines. Lack of writing time. Financial decisions to be made. Several speaking engagements. Some travel. It’s not all BAD stuff, just a LOT of stuff. I’m emotionally exhausted. Physically worn out. And I sat there in the quiet feeling like a failure. Have I learned nothing? Am I a hypocrite? Why couldn’t I pray? I looked at the pile of devotional-type books on the table beside me, and I picked up a brand new one, Talking to Jesus. Have you ever noticed that sometimes it’s easier to read about prayer than to actually pray? Maybe it’s just me. This is centered around the idea that prayer is nothing more than a conversation with Jesus—and because of that, any of the conversations people in the Bible had with Jesus qualify as prayer—and can be the basis for your own prayers. As Jeannie tells the stories (which all come from the book of Matthew), she fictionalizes each as a way to help the reader put herself in the story. Each short chapter (about 6 pages) ends with a few related scriptures for reflection as well as a few observation questions to help you apply the concept to your own life. The book is not long and intimidating; it’s a good size for a personal study or devotional workbook. 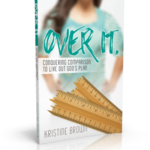 Jeannie’s motivation for this book was trying to find ways to pray on behalf of her teenage children. As she searched the Bible for tips, she realized some of the New Testament stories were about parents approaching Jesus on behalf of their children. As the parent of three children who are now 24, 21, and 17, believe me—I can relate to Jeannie’s desire to come to God on behalf of my kids (can’t you?). And I began reading right when I was faced with doing just that. But the approach isn’t limited to praying for your kids. It applies to all kinds of situations—facing doubt, praying for friends, feeling burnt out, having trouble forgetting… It’s comforting to be reminded that these same problems were faced by people in the time that Jesus was walking the earth. And to remember that just as Jesus answered them, He will answer us. So that morning, I let these conversations others had with Jesus serve as a stand-in for my own prayers. And I felt a little less empty. A little more sure. Because I was reminded that I don’t have to bring the faith to my relationship with Jesus. He has enough for both of us. All I have to do is show up. So let’s pray together. My prayers are for my son (because that’s what’s been on my heart lately), but your prayer requests can be about anything. 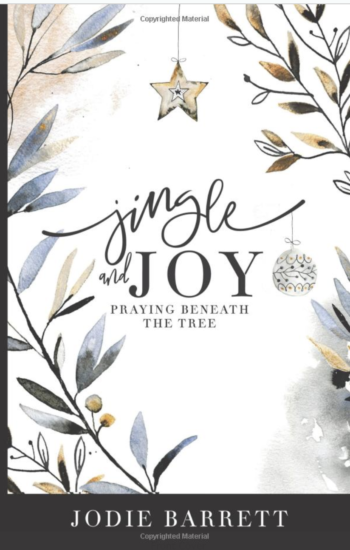 Leave a comment below with the basic info about a prayer request you have, and you’ll be entered in a drawing for a copy of this book. Keep your comments vague to protect the privacy of those you’re praying for, but let’s go together to God and lift up these needs. Also, would you take a moment to pray for the comment before yours? It’s easy—all we have to do is talk to Jesus. Because it is in those interactions that we get to see who He really is. And we come to believe that He will do all He says He will do. I’ll announce the winner next week… and tell you all about the sparkly bauble I’ll be giving away instead of a book! Jeannie Blackmer was the publishing manager for MOPS International where she helped create more than 20 books for moms. 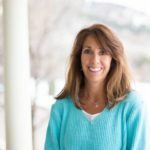 Now she writes full-time and runs the blog for her church, Flatirons Community Church outside Denver, CO. She has spent the last 3 decades professionally writing everything from articles to press releases, and ads to several books. She has a passion for storytelling and spending time with her husband and three sons who are in their 20s.